When I first caught wind of the Mobile Nations Fitness Month my initial excitement was quickly overcome by a fear of not sticking to it, and ultimately, failing miserably. I knew the challenge was one that I had to grab by the horns and give my all to -- and I did just that. Making such a huge life change like completely revamping my eating habits, the way I exercised and the way I felt about myself was not going to be easy by any means. 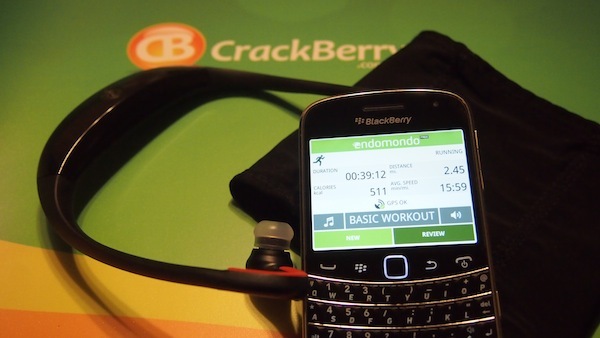 With the help of my good friend, Mr. BlackBerry Bold 9930, I knew I was ready to make a change. Let's jump past the break together and check out how the Fitness Month went for me, the challenges I faced and how I was able to make changes to ensure that I did not fail. Through the month I shared with you already how I used my BlackBerry to eat healthier, how it came in handy to get in better shape and even keep me motivated while attempting all this. While I would love to say it was just that easy -- it wasn't. Almost every day was a struggle for me in one way, shape or form. From the daily pain from working out, to the struggles of eating healthy daily and trying to combat the weather -- changes had to be made on the fly. The first couple of days were great; I was highly motivated and ready to conquer the world. Once the pain continued to settle in and things weren't getting easier, it began to take its toll on me. So, how did I get past the pain and continue to set forth in conquering my goal? Easy -- I made some life changes. I found that continuing to make changes throughout the month to make things easier for me, more entertaining or more comfortable candiminish the negative feelings. 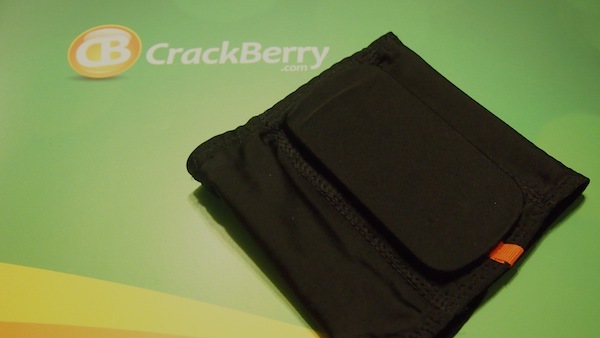 In addition to my BlackBerry, and the applications on it that I grew to love, there were a few other key add-ons to my success this month; most of them were rather affordable and available in many places. My first purchase was a DVD to use at home on rainy or snowy days. Since the weather in New Jersey is quite unpredictable, this was a great purchase. One of my new favorite shows is The Biggest Loser, and I was able to find a "The Biggest Loser: At Home" DVD challenge which gives you some great cardio and strength activities that can be done right in the comfort of your own home. I picked this up for under $10, and the DVD includes a warm up, various cardio and strength exercises and a cool down. The DVD also offers a routine for people just getting into the activities, giving you a four week plan -- each week getting harder and harder. While the DVD is a great addition to the arsenal I do prefer to get outside and get some fresh air while working out, but I had a few difficulties in getting back in the running grove. First, it's really -- like really, really -- important to have a good pair of running shoes, support is extremely important and without it you can cause some serious injury. One issue that I faced with running with my BlackBerry was that holding the Bold 9930 while running was not the most comfortable option. It sometimes got in the way, I would press random buttons, feel inclined to check messages and I didn't want that. I picked up the Philips DLV1005/17 Action Fit Sleeve that the Bold slid right into and it was extremely comfortable on my arm. With this I was able to put my BlackBerry in the band at the beginning of the run, and let it sit there during my run without even thinking about it. The wires sometimes got in the way and I found myself tugging the headphones out of my ears, getting caught up in the wires and just getting annoyed. While I did say that cutting the cords was a good idea my over the ear bluetooth headphones weren't the most comfortable for me; they seemed to bounce a lot. I took some time, read some reviews and decided to splurge a little and grab myself some new Motorola S10HD bluetooth headphones. After just one use I knew they were going to pay off big time. 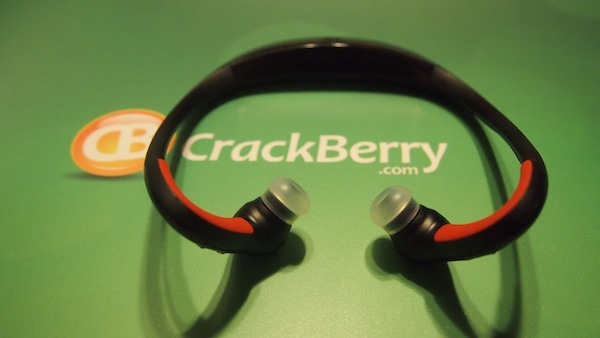 Not only were they sweat resistent, but they also had volume and track controls right on the outside of the headphones; so, with ease, I could adjust the volume or skip a track without needing to touch my BlackBerry. The Motorola S10HD headphones proved to be a great addition, and the comfort allowed me to nearly forget that they were there. February was full of trial and error for me; lots and lots of experimenting, trying new things and pushing myself further than I have ever in the past. So, now that Fitness Month is wrapping up, does that mean it is time to put those newly formed great habits behind and get back to slacking? Simply put -- no. There is no excuse in my book now for not continuing all of these new habits, and pushing the envelope even further to see just how far I can go with this. With my wedding coming up in June, and 20 pounds already gone, I can't afford to give this up. I now feel GREAT on a daily basis; the added energy and the desire to do better and push myself means that I can't wait to see what March brings. So, what do you say? Will you join me in making 2012 a year of fitness, and extend those good habits you formed during Mobile Nations Fitness Month into life altering habits?